The max pore and mean pore testing machines are based on the principle of bubble point method. The air pressure expels wetting agent with the air passing through biggest pore while both forces are similar/equal. The maximum and mean pore size tests are done on nano-fiber webs to test material, area density and fiber diameter features. These testing machines also come with filter paper sample mounting holder in stainless steel finish with pneumatic clamping of sample. Further, these also feature digital display of flow values, process controllers, pneumatic fittings and valve and aluminum extruded section frames. Some of the other specifications of these testing machines include pressure transducer that is 0-4000mm of WC, flow device (SMC) PFM710S of 0-10lpm and flow device (SMC) PFM711S of 2- 100lpm. Filter paper sample mounting holder of SS. Pressure transducer 0-4000mm of WC. Flow device (SMC) PFM710S 0-10lpm. Flow device (SMC) PFM711S 2- 100lpm. Digital display of flow values. The Filter Burst Testing Machines are used for testing strength and performance of materials like corrugated boards, solid fiber boards, paper, paperboards, industrial fabrics, Rexene, and others. These machines are available in three variations including Board Tester, Paper Tester, and Two-in-One Paper Board Tester. 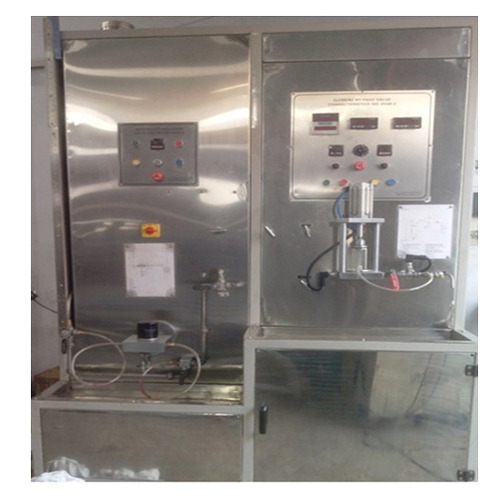 For smooth performance, these Filter Burst Testing Machines are available in square pipe section frame options with hydraulic plunger pump and oil sump with the heater. 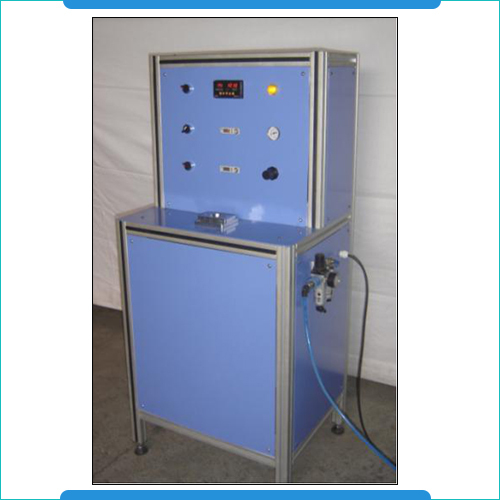 These also features digital temperature indicator and controller, pressure gauge, polycarbonate safety guard, filter mounting fixture, high-pressure hoses and pressure release valve. Digital temperature indicator and controller. Control panel for the above. Power: 440V, 3 Ph, 50 hz, 1.5kw.